The Best Lucky Charms In The World! 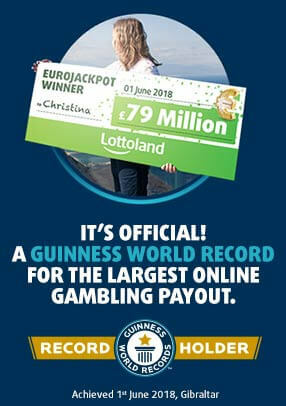 Just about everyone would like to be a bit lucky in life. While some just search for happiness and fulfilment in their daily lives, others dream of the day when fate will smile upon them and all their wishes come true. Irrespective of believes in superstition, the desire for happiness is deeply rooted into human existence. History shows that humankind has searched for ways to attract good fortune and happiness since the beginning of times. The earliest evidence of objects being fashioned for this purpose comes from Ancient Egypt. Ancient Egyptians trusted in the supernatural power of amulets and talismans – these charms were believed to bring good luck, provide protection from evil spirits and were even thought to be capable of helping their bearers cheat death. Nevertheless, evidence shows that the civilization that built the great pyramids was not alone in popularizing the belief in symbols, animals and objects as bringers of good fortune. Most cultures around the world developed independent beliefs in the power charms. Through the ages charms inherent symbology has developed and adapted, being found today as diverse as the societies from where they originate. Below are those who have gained the greatest popularity! The Lucky Charms You Should Know! While you might find them repulsive, scarabs are one of the oldest symbols of good luck and prosperity. The Ancient Egyptians associated this type of beetle with the rising sun. The sunrise phenomena carried a powerful mysticism in Ancient Egyptian culture and the scarab amulet was believed capable of providing protection from evil spirits. These amulets were said to be under the protection of Khepri a god whose name means ‘come into being’ and that Ancient Egyptians believed to have the appearance of a scarab. He was also seen as a symbol of rebirth and renewal. The Elephant is loved in western cultures and so it is for many Indians. Ganesha is the Hindu elephant-headed god of happiness and success. This eastern symbol rose in popularity during the twentieth century and is now also regarded as a symbol of luck and happiness in western cultures. Perhaps because it is uncommon to find a four-leaf clover in nature, finding one has been connected to good luck. This symbol was part of the Celtic culture that believed that to find such a unique clover would bring protection from evil. If you don’t fancy getting muddy in the fields however, you will be pleased to know it’s possible to purchase four leaf clovers online almost as easy as you can bet on the lottery, so you might want to have a browse and order some while you at it. Walking trough the streets of Japan, China and Thailand, you might see a pottery cat outside restaurants and think about the stories you were told about Asian cuisine. There is however no reason for suspicion, the Maneki-neko is a Japanese cat figure assumed to be a bringer of good fortune. It is seen as a welcoming figure, commonly displayed outside restaurants and shops. This lucky charm is believed to attract customers thus ensuring the financial wellbeing of shops and restaurants. The Rabbit’s foot is a world-wide popular lucky charm, believed to bestow good fortunes upon its carrier. The druids in 600 BC Britain believed that this amulet provided protection from evil spirits. Although it didn’t seem to save the druids from extinction at the pointy end of a Roman soldier’s sword, many people still share the belief that a rabbit’s foot will bring you new and better things. The horseshoe is one of the most common symbols of happiness and good fortune. 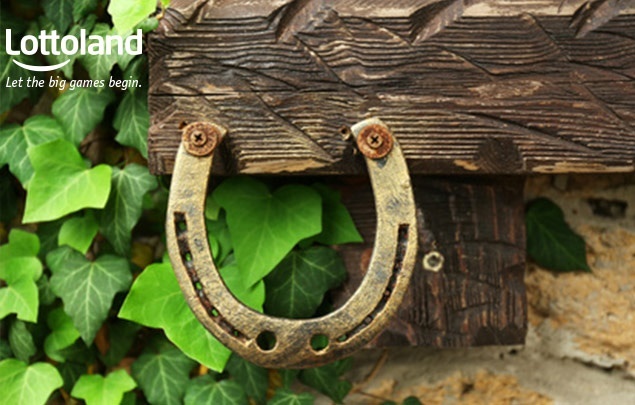 Story goes that hanging a horseshoe on a wall brings good luck, success and money – remember to always hang it ends pointing up for this purpose. Hang the lucky charm with the ends pointing down and it will instead protect you from bad energies, evil spirits and...uninvited guests. In Latin languages, the cats are said to have 7 lives opposite to 9 in English, the gods of fortune in Japanese culture are 7, Buddha walked 7 steps at birth and the daughters of Atlas and Pleiades are referred to as the 7 sisters - not to mention all the biblical references. Whatever your beliefs, it is clear that human beings worldwide associate the number 7 with luck. Everyone loves the number 7 and it has been popularized in western cultures as a bringer of good fortune. In ancient times it was believed that objects made of metal offered protection from evil. We later turned this belief into carrying a penny or another low value coin for luck. Many believe that you should always pick up a lost penny on the street for good luck. Personally I prefer to find 20-pound notes.